Editor’s note: Below, you’ll find the third essay in Matt McCall’s multi-part series on making a fortune in the coming marijuana boom. I’ve spent the past few days making the overwhelming case for investing in the legal marijuana business. In case you missed them, here’s the first part and second part of my case. I believe the incredible tailwinds blowing at legal marijuana’s back make it so the opportunity here is much like the one internet stocks offered in 1994 … or the one bitcoin offered in 2015. If you missed the opportunity to make 50 times your money in internet stocks … or if you missed out on the opportunity to make 50 times your money in bitcoin, you’re going to want to know how to play weed. As is the case in any commodity, the obvious way to play marijuana is by owning businesses that produce it. Right now, the landscape is full of small-time growers. But some larger growers are looking to consolidate production and increase their pricing power. The largest marijuana stock in the world — Canopy Growth (NYSE:CGC) — became the first of its kind to trade on the coveted New York Stock Exchange. Canopy is a giant grower of marijuana for all types of consumption. Canopy made big news last year when alcoholic beverage giant Constellation Brands bought a 9.9% stake in the company. When a leading alcohol company invests $245 million into a new industry, it cannot be ignored. It’s another step in giving the marijuana industry credibility. Just behind Canopy is Aurora Cannabis (OTCMKTS:ACBFF). The company initiated the largest acquisition in the history of the marijuana industry earlier this year with the purchase of CanniMed. The combination will take a leader in Aurora and join its forces with the first-ever approved cannabis producer in Canada. For 13 of the last 18 years, they were the only producers north of the border. Most investors are familiar with the “picks and shovels” approach to investing in a commodity boom for good reason. The right picks and shovels investment offers big upside, yet limited downside. The most famous example of someone getting rich with the picks and shovels approach comes from the 1850s California gold rush. After gold was discovered at Sutter’s Mill, thousands and thousands of people from all over the world rushed to California. They risked everything trying to strike it rich. Most of these people found no gold and lost everything. Instead of taking the risky “all or nothing” approach of looking for a big strike, a smart German named Levi Strauss sold basic goods to the miners. It was a much safer, surer way to acquire wealth than trying to hit the motherlode. Eventually, Strauss started producing a new kind of durable pants for the miners. They became a huge hit and Strauss got rich. Again, Strauss didn’t risk it all on trying to find a big strike; he simply sold goods to everyone who was looking for the big strike. This business model — selling picks and shovels instead of trying to find or produce a commodity — is very powerful. Any time I invest in a sector, I look around for good “picks and shovels” plays. In the legal marijuana business, there are several ancillary companies that will profit as the addressable market increases. Once such company is Canada-based Namaste Technologies (OTCMKTS:NXTTF). 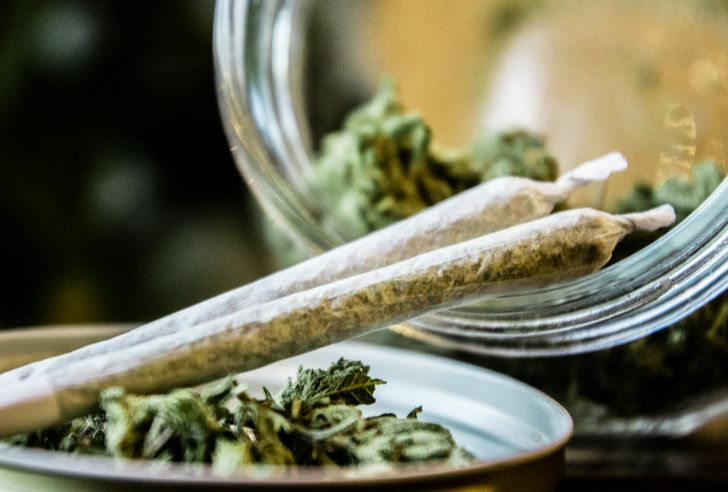 The $310 million company manufactures and distributes vaporizers, pipes, papers, and other paraphernalia that is used in the ingestion of marijuana. The company’s top product is called Guru. It’s used for vaporizing liquids, concentrates and dry herbs. I am sure you have noticed the growth of vape stores in your area — I sure have. Along with the picks and shovels are the owners of real estate used to grow the marijuana. Innovative Industrial Properties (NYSE:IIPR) is a $263 million company that is trading at a historic high. Its business model is focused on acquiring specialized properties that are built for marijuana production. The company then leases these properties to state-licensed marijuana producers. Due to the specialization that is needed to outfit a property to correctly grow marijuana, IIPR is able to do the hard work for the producers — at a cost. Health professionals have used marijuana for its medical benefits for hundreds of years. The compounds in marijuana can be a great help as pain relievers, glaucoma treatments, seizure treatments and in dozens of other situations. The big name here is GW Pharmaceuticals (NASDAQ:GWPH), which I have been a fan of for many years. The U.K.-based biotech found out on June 25 that its drug, Epidiolex, became the first cannabis-based FDA-approved drug. The drug will treat epilepsy, and more specifically people who suffer from Dravet and Lennox-Gastaut Syndrome. This news is important for several reasons and is another huge step toward legalization of medical marijuana at the federal level. I believe the number one outcome of this is that the Drug Enforcement Administration (DEA) will be forced to change marijuana’s current status as a level 1 drug. According to the DEA, a level 1 drug has no medicinal purpose, and that clearly is not true. The European Medicines Agency is expected to give its decision regarding approval on Epidiolex by early 2019. I believe there will be a string of cannabis-related drugs approved for everything from seizures to pain to anxiety in the coming decade. These drugs will produce tens of billions in sales. Zynerba Pharmaceuticals (NASDAQ:ZYNE) is also researching the effect of cannabis in several rare disorders that cause seizures. Its pipeline is also going after Tourette’s Syndrome and the genetic condition, Fragile X Syndrome. The company is further away from approval, however, a green light for GWPH will boost the entire sector. If you look at the list of the all-time most successful businesses and the all-time best stocks to own, you’ll notice that many of them sold — or continue to sell — addictive or habit-forming products. The list of Hall of Fame stocks that made shareholders rich includes McDonald’s (NYSE:MCD) (addictive fast food), Hershey’s (NYSE:HSY) (addictive chocolate), Starbucks (NASDAQ:SBUX) (addictive caffeine), Coke (NYSE:KO) (addictive sugar and caffeine), and Phillip Morris (NYSE:PM) (addictive cigarettes). Then you have makers of addictive drugs and treatments like Pfizer, Merck, Abbott Labs, and Schering-Plough, all huge stock market winners. After all, when people form a habit around or become addicted to a product, it goes a long way toward ensuring repeat business. People get used to their favorite brands. They grow resistant to switching. When people get used to a certain brand, they are more likely to continue buying the product even if the price increases a little. Both of these habits help companies sustain sales growth and healthy profit margins. That’s good for shareholders. By the way, sellers of branded, habit-forming consumer goods are the kinds of companies Warren Buffett, the greatest investor in history, is famous for buying. Unfortunately, public stock investors will have to wait for a high-quality branded marijuana stock. We don’t have one yet. But keep an eye out for the company that begins to emerge as a producer of high-quality products that carry the brand power that KIND bars carries in the healthy snacks space … that Stoneyfield carries in organic yogurt … that Annie’s has in organic packaged food … or that Kashi has in cereals. I’m confident that any company that achieves this sort of success will produce big gains for its shareholders. As you can see, you have a variety of ways to invest in marijuana in the coming years. My recommendation is to compile a list of the leaders in each field – the highest quality businesses with strong balance sheets – and look to buy them when they sell at compelling prices. I didn’t mention the absolute best way to play a commodity boom in this essay on purpose. This business model is so brilliant, its profit margins are so high, and it rewards its shareholders so much (in some cases returns on investment are over 20,000%), that it merits an entire essay. I’ll tell you all about this brilliant way to invest tomorrow. Article printed from InvestorPlace Media, https://investorplace.com/2018/06/6-marijuana-stocks-to-invest-in-for-1000-gains/.